In the first part of this examination we looked at the fundamental difference between the film and videogame mediums in terms of how they impart narrative. To reiterate briefly, while the more developed videogame storylines certainly emulate the narrative model generally adopted in film, the interactive dimension necessarily relegates this to secondary status. The focus is thus a system of progression rather than development. To use an analogy, the film experience might be thought of as a snowball rolling down a hillside: the further it progresses, the more substance it accumulates, leaving the audience free to observe the subtleties of this growth because it is self-propelling. Videogames, on the other hand, are more akin to pushing a snowball against the same incline; while it still accumulates more material as it progresses, our attention is split between the act of observing and the act of propelling things forward. As such, the inherent difficulty in translating one medium to the other arises through the need to compress an experience characterised by two separate, but parallel activities into another that involves only one. Indeed, the quintessential videogame experience is characterised just as much by the incremental mechanics of the gameplay as it is by the overarching storyline, while the two rarely have any definite basis in the other. So the dissemination of narrative is one of the areas in which the mediums of film and videogames are fundamentally dissimilar. This is an important step, but there is much more to the issue of game-to-film adaptation than simply observing their differences. After all, there are similar discrepancies between film and literature, and yet some of the most widely acclaimed films drew their origins from the written word. Clearly there are other mitigating factors involved – ones that only arise during the process of translation itself – and it is these we shall be examining in this second instalment. The tradition of paying homage to those whom you hold in a position of great respect is one as old as history itself. In the creative fields – such as literature, theatre, and art – this natural tendency has often been enshrined in various cultures as a rite of passage, even verging onto a sacred act. Think of H.P. Lovecraft, Arthur Conan Doyle, or Charles Baudelaire, and the debt each freely admitted to the works of Edgar Alan Poe. Think of Dante, Shakespeare, or Milton, and the extent to which each looked to Ovid for inspiration. Think of H.R. Giger, Salvador Dali, or de Chirico, and ponder how their various styles could have evolved without the likes of Hieronymus Bosch as their predecessor. And while the act of emulation has to be more delicately considered in this age of copyright and the legal ramifications of intellectual theft, there is still a healthy acknowledgement of one's influences in the various media. For better or worse, the practice of paying homage has simply become more subtle. When it comes to the introduction of any new medium, the practice of borrowing from those which are already well established is not only inevitable, but a necessary stage in the evolution of new ideas, procedures, and future conventions. Indeed, one need only reflect upon the productions of the great studio era in order to appreciate the influence exerted by theatre conventions during the early evolution of film. From Cecil B. DeMille and the early epics, through to Howard Hawks and the great blockbusters of the fifties, everything from script and editing technique to the actors and their exaggerated performing style bear the marks of theatrical convention. When technology gives rise to any new medium, it is only to be expected that the initial forays into that expanded horizon are going to be tentative, and usually have one hand firmly on what is both familiar and known to be successful. It wasn't until the rise of naturalistic filming techniques from the seventies onward that film truly grew into a medium that stood apart from theatre, and fully embraced its unique advantages. While it does not absolve developers of the burden of pursuing originality, it is nevertheless crucial to remember that the videogame medium is still in a nascent phase. Just as the early film industry looked to the stage for inspiration, augmenting its proven strengths with the unique potential of film to capture the grand spectacles of nature and whole armies of extras, so videogames have looked to the film industry in turn, augmenting those proven strengths with its own unique potential. In fact, to a great extent the current game industry remains fundamentally reliant on its film counterpart, not only as a source of inspiration, but more intrinsically as a system of landmarks in an effort to reach an existing market. Laying aside the hybrid phenomenon of movie-game tie-ins, it must be said that individual games tend to be marketed as much to film audiences as they are to existing gamers. The allure of being able to enter your favourite movie and interact with its various elements is a demand which the game industry has become expert in catering to. The relatively small genre of videogame Westerns is a perfect example. With only a handful of titles currently using this setting – most notably Outlaws, Red Dead Revolver, Gun, and the Call of Juarez series – it already seems that the prevailing approach is simply to pack in as many clichés from the vast catalogue of film Westerns as the premise can reasonably contain. There is nothing wrong with this, as the interactive aspect of the gameplay itself offers sufficient novelty for the experience to seem fresh. Where it would become an issue, however, is if the decision were made to take one of these titles and adapt it back into a film. 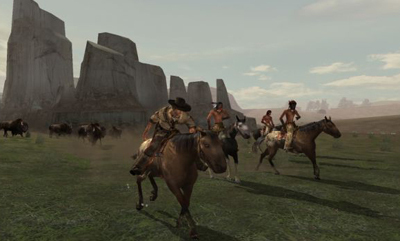 The good old run-and-gun Western may be a relative newcomer on the unspoilt videogame prairie, but in the twenty-five odd years since the release of Pale Rider, the wagon-train of the film industry has moved on to new horizons. Recent films, such as The Assassination of Jesse James, Appaloosa, and the television series Deadwood mark a new trend in the Western film genre, with a strong focus on the psychology of those who lived in that time and place. The videogame industry, on the other hand, is still well-and-truly entrenched in the world of swaggering gunfighters, great train robberies, and ruthless gold-mining tycoons. And while it may be great fun to play out the iconic moments of the old Western films, one would have to question the validity of adapting these staples back into their original medium. Often it isn't so much a matter of whether something that works for a game will work on film or not, but whether something that works for a game has already been done on film. 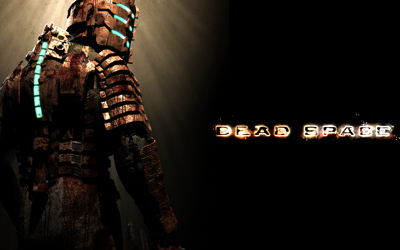 Take the recent Dead Space, for example, which has been almost unanimously well-received. Even in the first interviews the development team were unabashed about their desire to create an experience that emulated the best elements of films such as Alien, The Thing, and Event Horizon. Perfectly respectable choices when it comes to shaping the course of an homage, and ones for whom there is already an attentive and discerning following, and thus a market. With the first stirrings of a film adaptation beginning to circulate, however, one cannot help but wonder what the point would be. A videogame that synthesises aspects of Alien, The Thing, and Event Horizon is commendable, but when it comes to film why not simply watch the originals? What wisdom is there in turning the films which inspired and aided in gaining your success into full-blown competitors? There is nothing wrong with games being derivative, but as long as they continue to be so we have to question whether there is a legitimate place for film adaptations, let alone a prerogative. There are three crucial ingredients necessary to follow this advice: the first is obviously the lemon itself; the second is sugar or some other form of sweetener, the third is the knowledge required to process and combine these ingredients. The same is also true of videogame adaptations, with the source material very often akin to a lemon, the amount of finance helping to make it more palatable, and the calibre of the creative team determining whether the venture is a success or a bitter failure. Because, when it really comes down to it, regardless of whether we might wish for the game industry to mature beyond its big guns and bigger breasts mentality, the responsibility for bad game adaptations rests squarely on the film industry side. For all but the biggest players in the videogame industry, the level of finance required to embark upon a feature film project is nothing but a pipe dream, and so far even those who do have the resources have shown enough good sense to stick with what they know. This may change in the future, with Blizzard long rumoured to have been considering the prospect of backing its own Warcraft franchise on the big screen, but for now the clear and present danger comes from the ranks of film investors who greedily eye-off the last sales figures whenever they happen to peer over the fence into videogame territory and sniff an established market. The same is true of any adaptation, whether it be from literature, television, or graphic novel. success is presumed to breed success, disregarding the fact that translating each different medium poses unique challenges. In theory, there is no reason why any game-to-film adaptation cannot be a success, both critically and financially. More often than not, however, there is some critical mistake made in the simple lemon-sugar-knowledge recipe, with varying results. The bizarre Super Mario Bros. film, for example, can only be described as an instance of attempting to make lemonade from an aubergine. No amount of money or creativity could have made that recipe palatable, becoming an abject lesson in matching the subject matter with a suitable medium. The animated series based on the same license shows the modest success that even the most outlandish game premise can attain, provided that it plays to the strengths inherent in the source material. Far more common, however, we see perfectly good lemons go to waste, lacking either the sugar or know-how – often both – to make the most out of them. The prospect of a Legacy of Kain film directed by Uwe Boll is just one of many instances where a horrible injustice looms on the horizon. A Legacy of Kain television series with a creative force like that of The Tudors behind it, however, is another prospect entirely. Of course, the chances of a Legacy of Kain project garnering the budget and creative input required to truly do it justice is virtually nil. 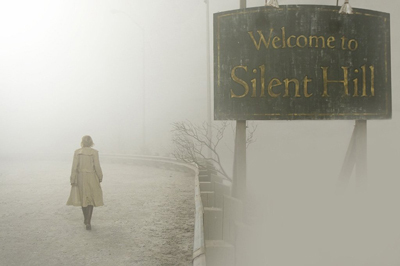 Indeed, we have yet to see any of the top-tier directors helm a project based on a videogame license, with Christophe Gans currently standing tallest after going out on a limb with the Silent Hill adaptation. Setting a respectable, but by no means enthralling standard we also have the workhorse of the genre, Paul W. S. Anderson, who proved that much can be done with a modest budget and a little flair with the passable Mortal Kombat and Resident Evil films. At the other end of the spectrum we find the likes of Uwe Boll, whose only remarkable quality is the unbelievable tenacity he shows in being able to secure one woeful project after another. The problem, it would seem, is that the film industry has slipped into a vicious cycle of diminishing returns when it comes to game adaptations. Once a given project fails to gain the critical and financial success it may have promised, the next is given access to still-fewer resources, making it even less likely to instill a positive reception. As each subsequent project inevitably fails to buck the trend, it is interpreted not as a reflection on the level of investment and talent involved, but as confirmation that game properties are inherently unsuitable for adaptation, and on the cycle goes. With such a stigma now attached to the very notion of game-based films, it is not surprising that the better directors and investors in the film industry are unwilling to risk either their reputation or money on such ventures. And yet this is not a universal truth. The prolific Japanese anime industry, for instance, has a respectable catalogue of game adaptations, often featuring some of the foremost directors, studios, and other creative talents. Insofar as the west is concerned, however, it is unlikely that the trend will change until a film of the same calibre as Sin City, 300, or The Dark Knight turns the prevailing attitude on its head, as each of those did for the comic-based film. The only question is, how many respectable game properties will go to waste on poor productions before this polar shift occurs?